It wasn't until I moved to Odawara that I started watching Neon Genesis Evangelion, a very popular mecha anime from the early 90's. The series follows a boy named Shinji who pilots a giant robot called an Evangelion to fight off mysterious monsters called Angels. Evangelion has made over 150 billion yen by 2013 and now includes 5 movies! 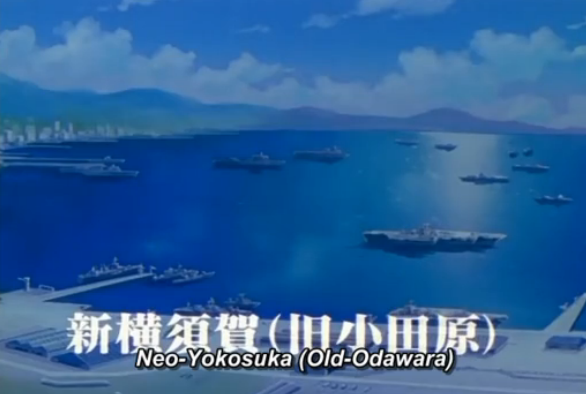 The series is set in a futuristic Tokyo with the location of Tokyo 3 based on Hakone.... and even Odawara as seen in this screenshot below. 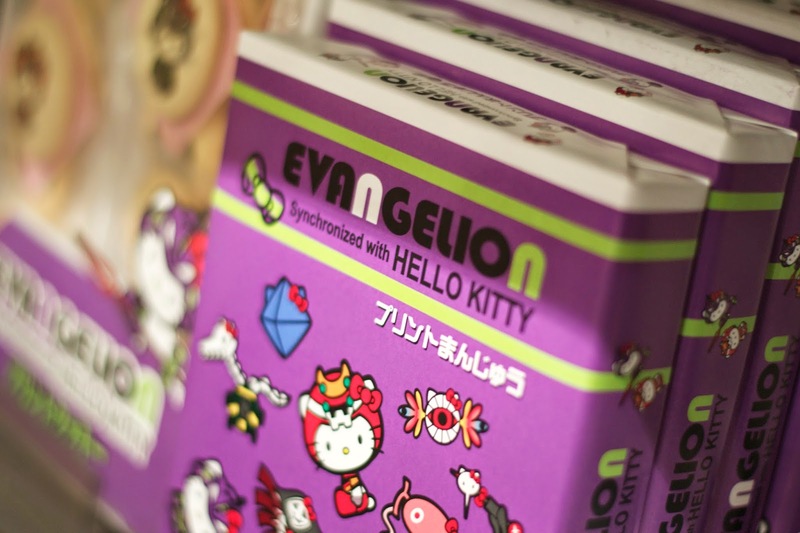 Living so close to Hakone and having Evangelion cookies sold in my local station made me feel like I was being disloyal if I didn't give the series a shot. Although it's in the mecha genre and isn't as "kawaii" as my usual favorite anime, I'm happy I tried it out. 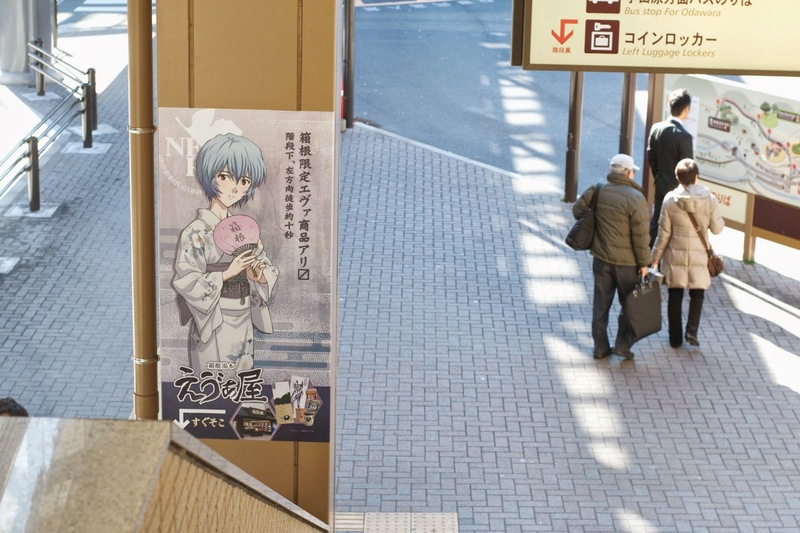 Because of Evangelion's success, Hakone has found some ways to incorporate Evangelion characters into the city's brand. 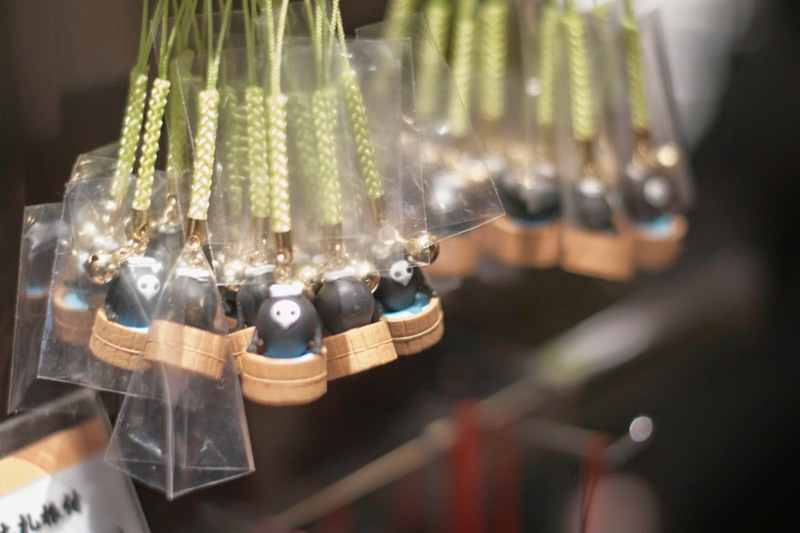 You can visit the Hakone Evangelion Shop if you take the Hakone Tozan train line from Odawara Station to Hakone-Yumoto Station. Upon exiting the station, you will immediately be greeted with this large poster of Rei advertising the shop located below the station. Turn left at this sign at the bottom of the stairs and head towards the area directly below the station to find Eva-ya, the official Evangelion store! 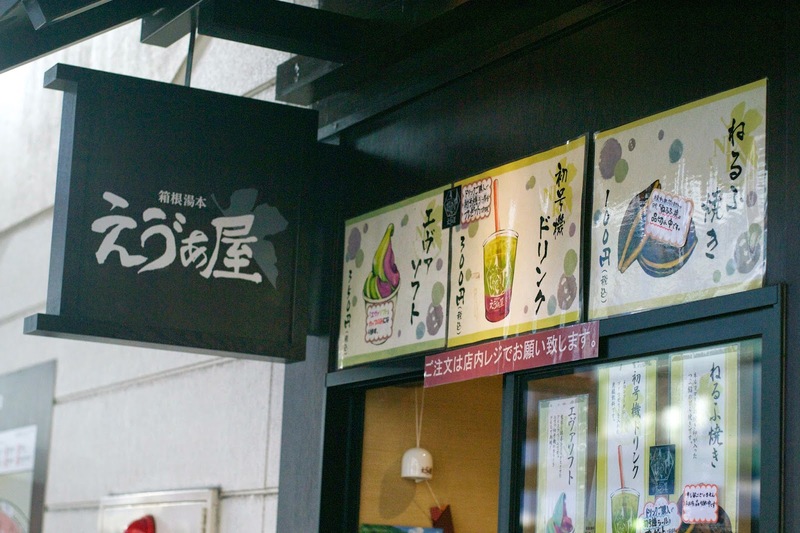 This little window of the shop is where you can order 3 different Evangelion themed food items including ice cream, soda and dorayaki (pancakes with red bean filling). I tried the soda drink which I think was something like melon soda with purple grape jelly in the bottom. They also gave me a sticker which they show on the cup in the image but I'm saving it for some special occasion. 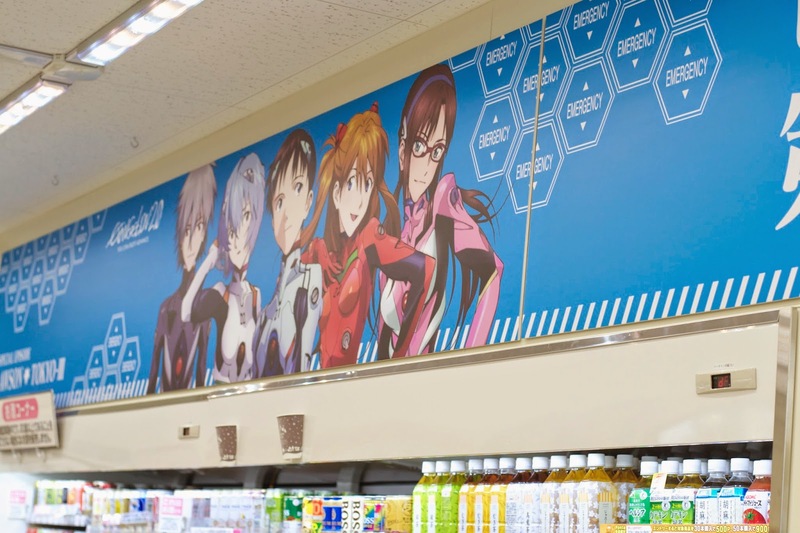 Even though the store is kind of small, it's packed with every kind of Evangelion item you could imagine from stationery items to clothes and branded foods! 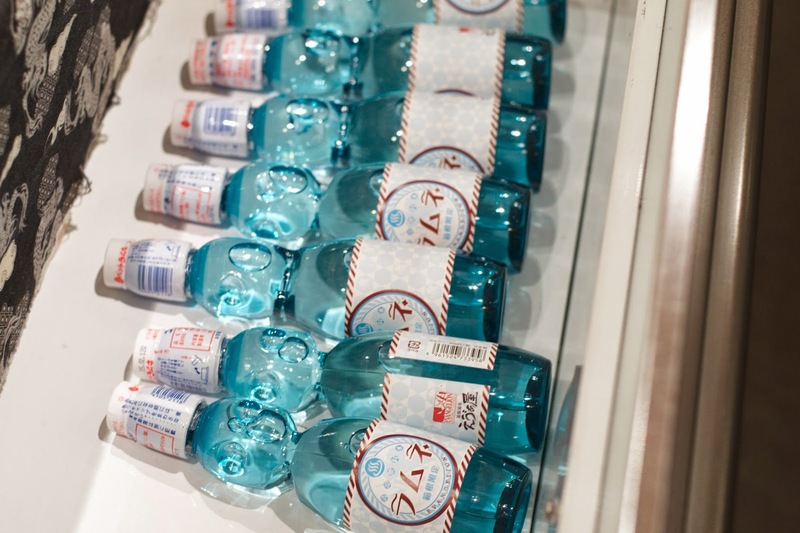 I stumbled across an Evangelion branded 7-11 when I went to The Little Prince Museum. 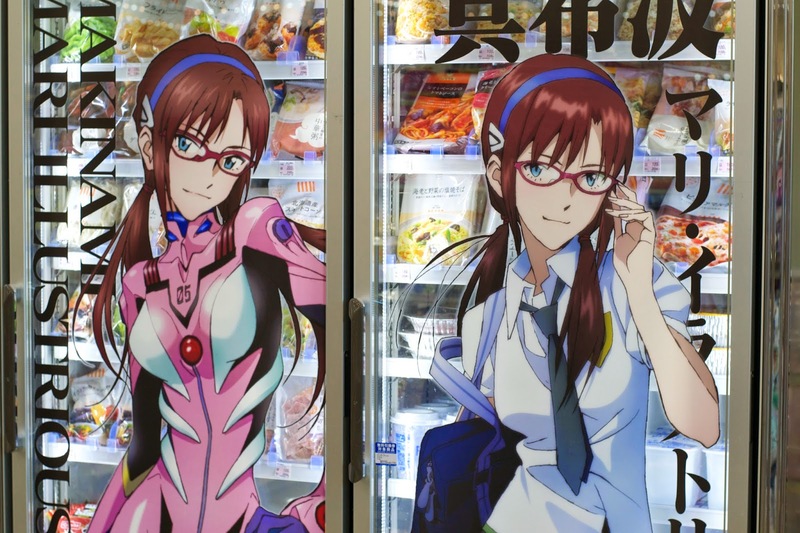 This particular 7-11 is located close to the bus stop and has Evangelion images on the wall and refrigerated drink section. 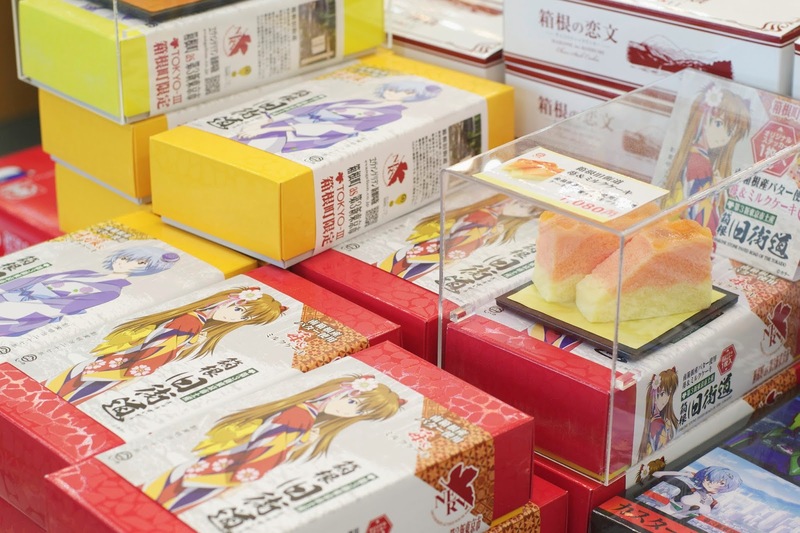 It additionally sells some Eva themed omiyage food items. A visit to Hakone is a must for any Evangelion fan. 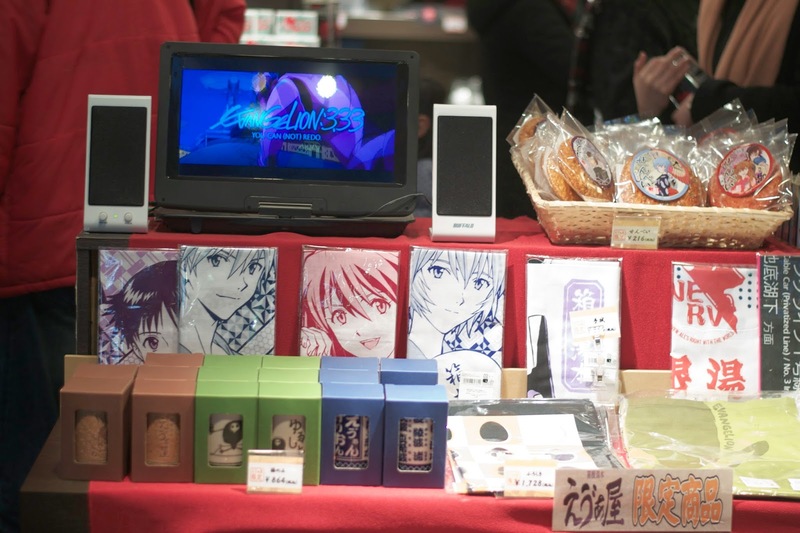 If you are interested, you can find more information about the Evangelion store here but it's only in Japanese. Plus a quick Google search will turn up results with information about specific locations in Hakone that match scenes in the anime. Have you ever watched Evangelion? Who is your favorite character?